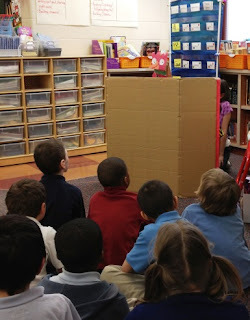 March 30th--Today is the last day of school before spring break and boy, are we ready! 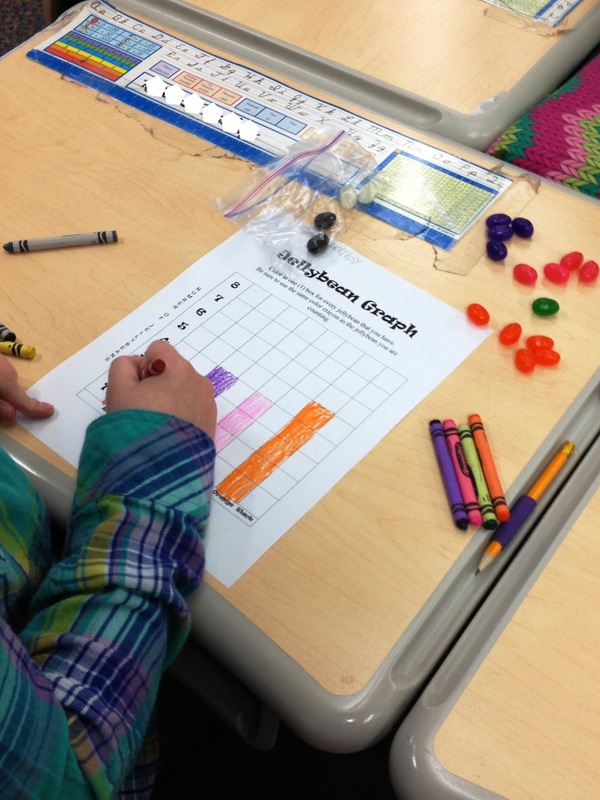 It has been a busy couple of weeks with the close of ISTEP+ and moving straight into Acuity. The final trimester of the year is in full swing and the last progress reports go home on 4/26. 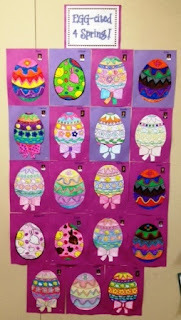 As a small break from the hustle and bustle, we skipped morning work one day last week to color and cut paper eggs to display. They turned out pretty cute! 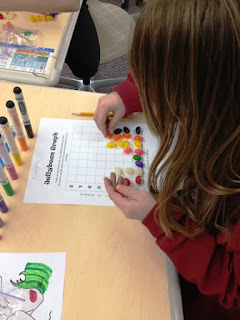 As a math activity, which will slide us into our graphing unit after break, we spent some time using jelly beans in math. 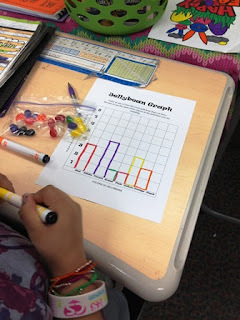 They had a ball sorting, graphing and comparing the different colors of jellybeans.